This month's issue of Modern Luxury San Francisco gives readers a taste of what it's like to inhabit one of the sky palaces above SoMa at 181 Fremont. 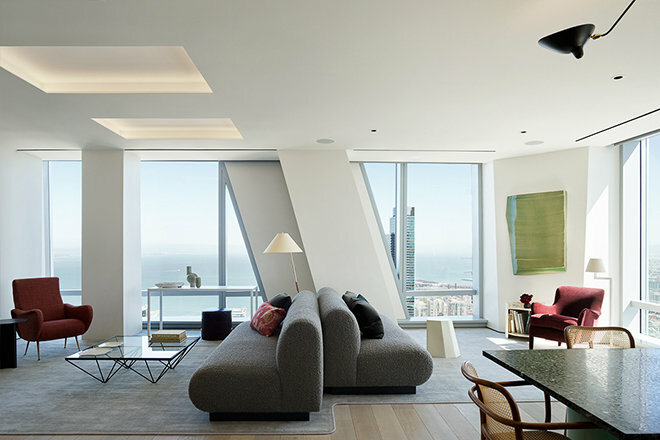 These luxury condos in San Francisco have been turning heads since the steel tower began climbing above the city's skyline, and now the boutique homes are ready for residents, some of whom are already enjoying intimate San Francisco Bay views through floor-to-ceiling windows. 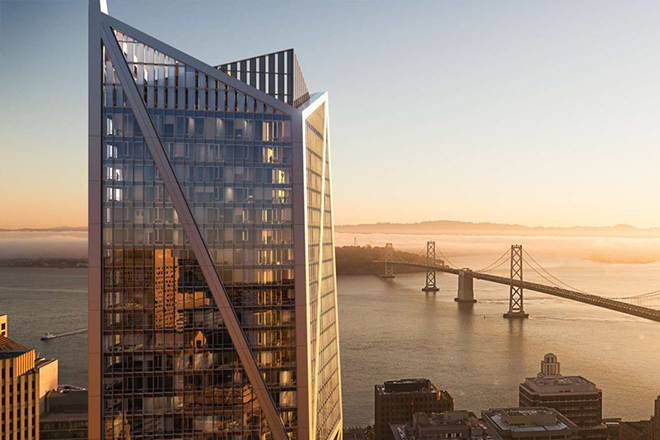 As developer Matt Lituchy told Modern Luxury, the goal behind 181 Fremont was to "create the ultimate luxury residential experience" in San Francisco, and current residents agree that living at 181 Fremont is a one-of-a-kind opportunity. 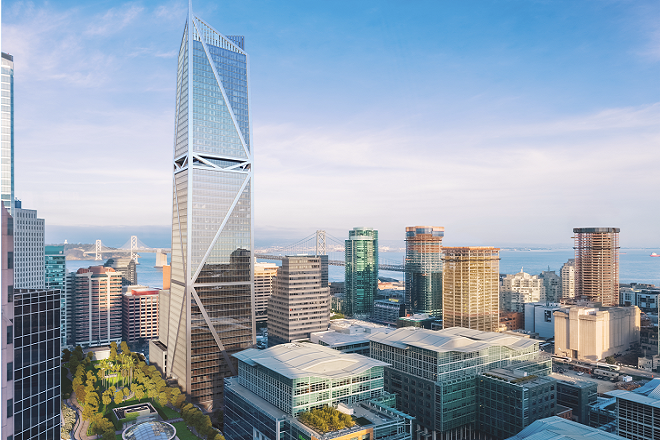 The innovative tower at 181 Fremont made headlines when it went up in San Francisco's SoMa neighborhood, and now the mixed-use building has garnered an award for its construction design. The resilient structure won a coveted 2019 American Institute of Steel Construction Award in recognition of the high-strength steel exoskeleton, which was designed by engineers at Arup. The upper floors of 181 Fremont are home to a collection of San Francisco luxury condos whose residents, living hundreds of feet above sea level and enjoying breathtaking views of San Francisco, the Bay, Angel Island, and the East Bay beyond, are the main beneficiaries of this strong steel construction. It's the most wonderful time of the year in San Francisco and there is no shortage of holiday happenings to get you into the festive spirit. Originally launched in San Francisco in 1944, the Nutcraker was an instant sensation that became a holiday tradition across America. Celebrate where it all began and join the San Francisco Ballet for showings nearly every day through December 29. For those looking to indulge in a little more, VIP Box Experiences are also available. For more information or to purchase tickets, visit https://www.sfballet.org/season/nutcracker/nutcracker. Friday, Dec. 14 from 6:00 to 8:00 p.m. Spreading Christmas cheer since 1994, the annual Lighted Boat Parade at Fisherman's Wharf will light up the San Francisco Bay as more than 60 boats parade along the waterfront. Holiday revelers can enjoy the views from Aquatic Park, PIER 39, the Marina Green Room and Crissy Field while a number of restaurants along the Wharf will be offering traditional holiday menus throughout the event. For more information, visit http://www.visitfishermanswharf.com/events/lighted-boat-parade-je2nh. Attracting more than 750,000 visitors each year, Union Square's Winter Walk SF, a 17,000 square foot holiday pop-up plaza, is a sight to see this season. Transforming Stockton Street between Geary and Ellis streets, Winter Walk features two open-air beer and wine gardens, food trucks, live performances, carolers, holiday-themed photo opportunity and other wintery surprises. For more information on upcoming events and performances, visit https://www.winterwalksf.com/events/. Monday, Dec. 31 starting at 11:30 a.m.
Every New Year's Eve, thousands of people come together along the Embarcadero to watch as the dark skies over the San Francisco Bay and Bay Bridge light up with fireworks at midnight. You can watch the 15-minute display from some of our favorite restaurants along the Embarcadero like Waterfront Restaurant or Coqueta. 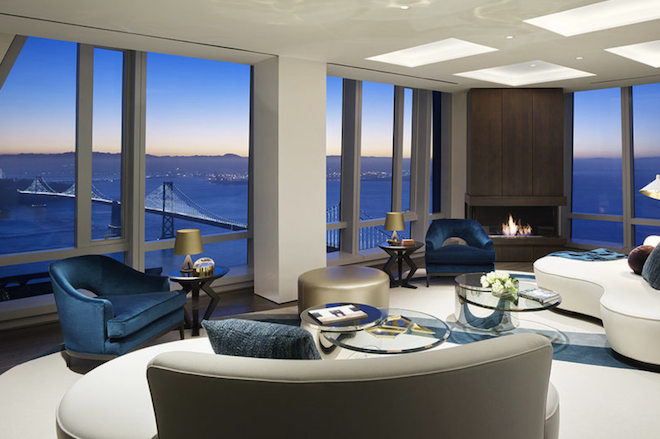 If you're in the market for new condos for sale in San Francisco, 181 Fremont is a rarefied example of what success can achieve. Schedule a private appointment to tour our building today. Capture Magazine profiled Kendall Wilkinson Design, with a spotlight on her recently unveiled luxe penthouse model residence at 181 Fremont. Offering balance to the building's "strong architectural angles", Wilkinson's vision includes curvaceous furnishings and layers of bold textures. This 181 Fremont half-floor model home combines sleek, modern furniture with retro-futuristic chandeliers and a hint of Italian style to create the perfect setting from which to enjoy the SoMa condo's panoramic San Francisco Bay views. A new half-floor penthouse in 181 Fremont has been unveiled, and the 3,256-square-foot home is ready for move-in today, thanks to interior designer Kendall Wilkinson. The two-bedroom residence features details like granite kitchen countertops, an expandable chandelier by Apple designer Peter Bristol, and breathtaking views of the city. Ms. Wilkinson's furnishing scheme softens the space via textured wall coverings, a collection of art on loan from the Susanne Vielmetter Los Angeles Projects, and freeform sofas, which Ms. Wilkinson describes as "curvaceous." 181 Fremont is home to 55 luxury condos in San Francisco and, at 70 stories, is the city's tallest mixed-use building.